Varicose veins – are one of the mostly wide-spread vascular diseases. They occur when one-way valves malfunction, or walls of the vessels are weakened or over-stretched. The blood then can flow backward and pool in the veins of the lower legs causing venous insufficiency which over time can turn into varicose veins. Varicose veins are swollen, bulging, blue veins that are visible through the skin. They can occur anywhere, but are most often found on the back of the calf, on the inside of the leg or in the groin area. There are a number of factors that can trigger the development of varicose veins. Generally veins weaken with age; pregnancy puts extra pressure on veins both physically and by change in hormonal balance; overweight and obesity are among the top risk factors for varicose veins developing. 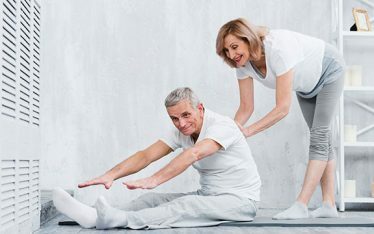 Family history of the problem, sedentary lifestyle, wearing tight outfits and spending long hours on the feet increase tendency to develop varicose and spider veins. Venous insufficiency can also be caused by inflammatory processes in the skin, high blood pressure, diseases of the heart and blood vessels, gastrointestinal tract, liver, ovaries, thyroid or pancreatic gland. Varicose veins occur more commonly in women then in men. Venous problems can also be aggravated to an extent by such external factors as extreme weather conditions; big difference between outside low and inside high temperatures; frequent contact with lime, reducers, aggressive cleaning agents and even polluted environments. changed appearance of the skin in the affected area, some of which may worsen by the end of the day. Varicose vein treatment depends on the severity of the problem. 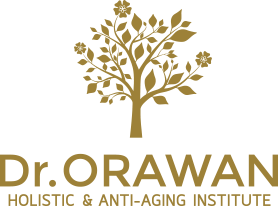 At early stages non-surgical methods should be applied to relieve the symptoms and/or appearance. Laser Treatment e.g. 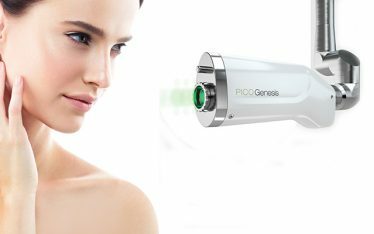 Diode/Nd Yag Laser – is a safe and effective way of treatment that works selectively on blood vessels without affecting the surrounding tissue. – A target for laser impulse is the hemoglobin in the affected vessel. – Under laser beams vessels become empty and their walls stick together and then dissolve without leaving traces. – Usually takes several minutes. – The treatment is repeated approximately every month. 2. Sclerotherapy – a special solution called sclerosant is injected into small and medium size varicose veins. Action: it causes vessels to necroses and stick together and be absorbed by the body mechanism naturally with time. – Usually done by doctors and requires a number of procedures. – There is no need for surgery and duration is between 15-45 minutes. – A bandage and pressure stocking are applied and must be worn for a week or two. Full recovery from surgery can take several weeks. – Over time vessels turn into hyperpigmentation that fade out over a months. cycling, foot-racing and swimming are useful for invigoration of the venous system. Maintain a healthy weight. It will reduce pressure put on the legs. Do not wear tight clothing or undergarments restricting circulation and high heels. Elevate your legs 3-4 times a day for 15 minutes. When resting put your legs above the level of your heart. Eat high-fiber foods and reduce salt intake. Wear compression stockings to reduce symptoms. Compression stockings can be helpful in preventing many symptoms of varicose veins. The stockings squeeze veins to prevent excess blood from leaking backward and help veins and leg muscles move blood more efficiently.